Our Philosophy - About Bakos & Richards Consulting, Inc. The mission of Bakos and Richards is to act as a small business Information Technology department. In this role, Bakos & Richards wants to learn how a client uses computers in the business, recommend how to make them more efficient, and finally maintain this hardware. 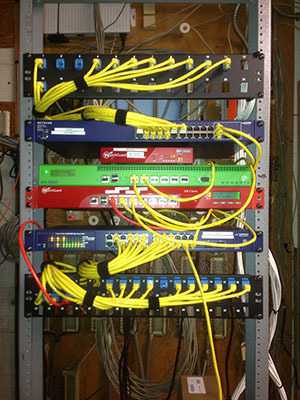 The company specializes in networking solutions, Internet connectivity, database design and implementation. Dave Richards created his first computer network in 1989, has owned his own computer company, and has a proven track record of using personal computers to solve real world business problems.